By Catherine on January 16, 2014 | Last Updated April 5, 2016 | 1 Comment | Medical Disclaimer | This Post Contains Affiliate Links - I may receive a commission if you purchase through links in this post. Who doesn’t love apple pie? Well that is exactly what this baked apples recipe tastes like! This gluten free baked apples recipe contains medium apples, butter, unprocessed, additive free apple juice, cinnamon, lemon juice, and dates. 1) Core apples from the top, being careful not to puncture the bottom, set aside. 2) In a saucepan, reduce 1 cup of apple juice for 20-30 minutes over medium-low heat until it has reduced to about 2 tablespoons. 3) Add butter, cinnamon & lemon juice to the saucepan. Allow butter to melt, stir and remove from heat. 4) Stir in chopped dates and poor into the center of the apples. Use the remaining 1/2 cup of apple juice in the bottom of your baking pan. 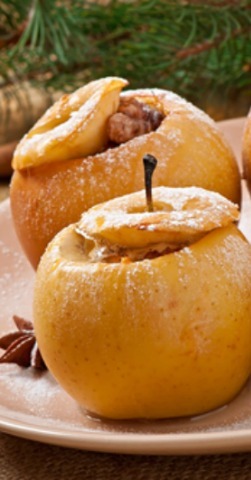 5) Cook baked apples at 350 degrees for about 50-60 minutes until soft, or peel starts to break. 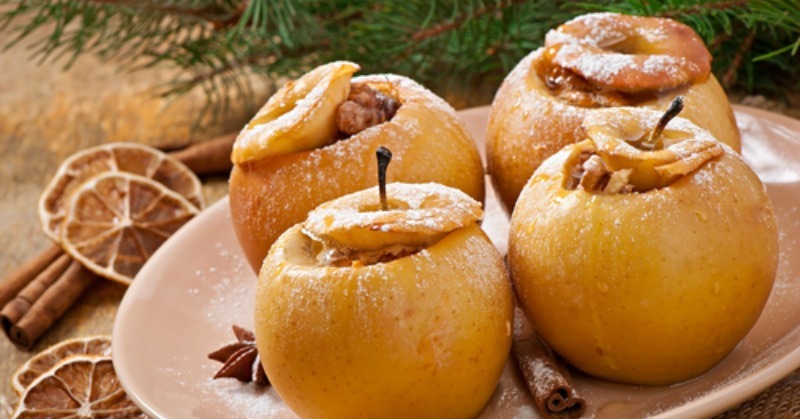 6) Serve baked apples with your favorite dairy or non-dairy ice cream. Very simple and easy, but at the same time exciting! I never thought apples can be baked directly, or may be because I just have limited imagination. Thanks for this!